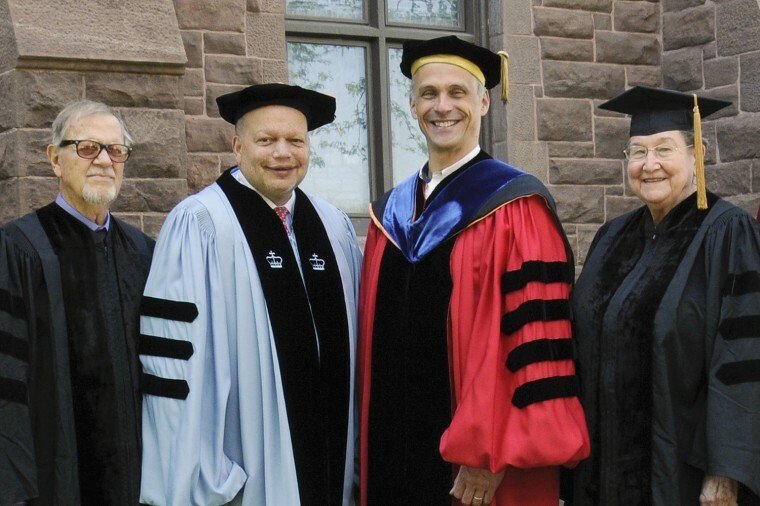 During Wesleyan’s Commencement Ceremony on May 25, Wesleyan President Michael Roth awarded honorary degrees to Hayden White, Theodore Shaw ’76 and Helena Chmura Kraemer. 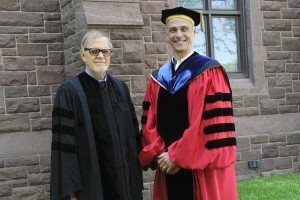 Ted Shaw and President Michael Roth. For decades, Theodore (“Ted”) Shaw has been one of the nation’s strongest advocates for equity and inclusion in our society. In courts throughout the nation, including the U.S. Supreme Court, he has argued cases involving voting rights, education, housing discrimination, capital punishment, and civil rights. He played a key role in initiating and drafting the admissions policy that was upheld by the U.S. Supreme Court in Grutter v. Bollinger, and he has often testified before Congress and other legislative bodies. He has worked with human rights lawyers in Africa, South America, Europe, and Asia, written numerous articles and opinion pieces for national publications, and has often provided expert commentary for television and radio shows. He has been named the Julius L. Chambers Distinguished Professor of Law and the director of the University of North Carolina Center for Civil Rights, after having served as professor of professional practice at the Columbia University School of Law. He also is “Of Counsel” to Fulbright Norton Rose. For 23 years, he served as an attorney with the NAACP Legal Defense Fund, concluding as director-counsel and president from 2004–2008. He obtained his law degree from the Columbia Law School and started his career as a trial attorney in the U.S. Department of Justice. 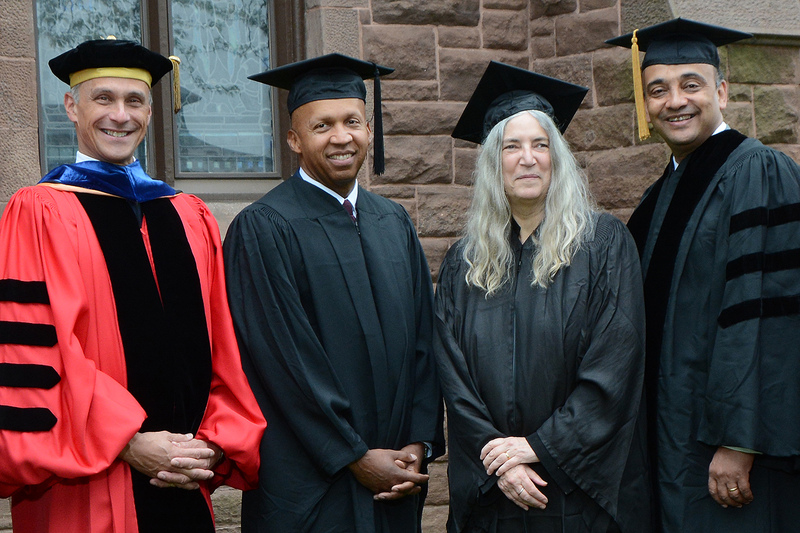 The recipient of numerous awards and honors, he currently serves on the board of the Wesleyan University Center for Prison Education. He is a trustee emeritus of Wesleyan. Helena Chmura Kraemer and Wesleyan President Michael Roth. Helena Chmura Kraemer, professor of biostatistics in psychiatry, emerita, at Stanford University, is one of the nation’s foremost authorities in evidence-based medicine and in the use of statistical analysis for answering pressing questions in public health. She has transformed methods for determining the efficacy of treatments or preventive interventions, measuring risk factors for diseases, and determining how to formulate public policy so as to do the most good with limited resources. Most recently, she played a leading role in revising the Diagnostic and Statistical Manual of Mental Disorders, providing crucial guidance for medical researchers and clinicians. 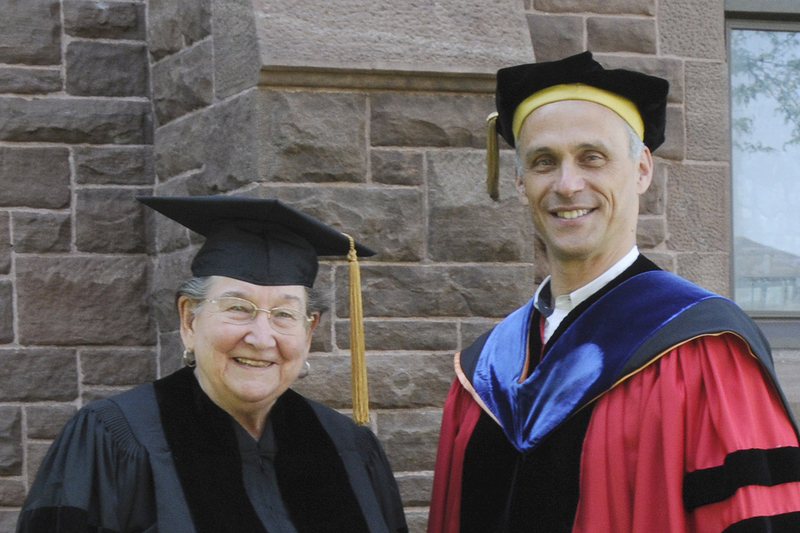 She is widely regarded as a superb teacher and an inspiration to women in nontraditional fields of research. Her many honors include membership in the Institute of Medicine of the National Academy of Sciences, the Franklin Ebaugh Prize from Stanford University, the Harvard Prize in Psychiatric Biostatistics and Epidemiology, and a Fulbright Scholarship. 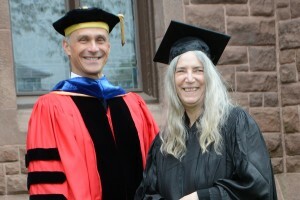 A Phi Beta Kappa graduate of Smith College, she holds a Ph.D. in statistics from Stanford University. Hayden White and President Michael Roth. Hayden White is widely regarded as one of the most important theorists of history of the last 50 years. In one of his best known works, Metahistory: The Historical Imagination in Nineteenth-Century Europe (1973), he argues that historians impose their own structure on the past by creating literary narratives that cannot be truly objective but nonetheless give history its meaning. Professor White’s own contributions to how we understand meaning and culture are profound, and he has had a powerful influence on humanists around the world. 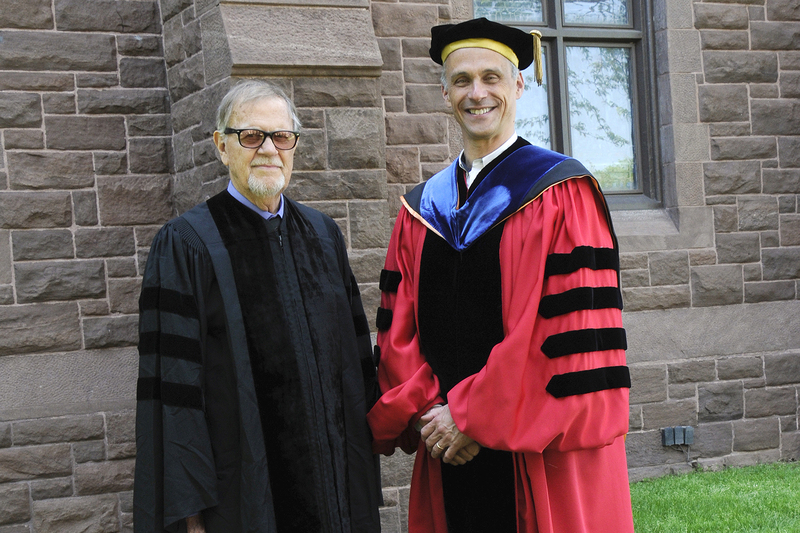 He is a former director of Wesleyan’s Center for the Humanities (1973–76) and is a contributor to Wesleyan’s journal History and Theory. 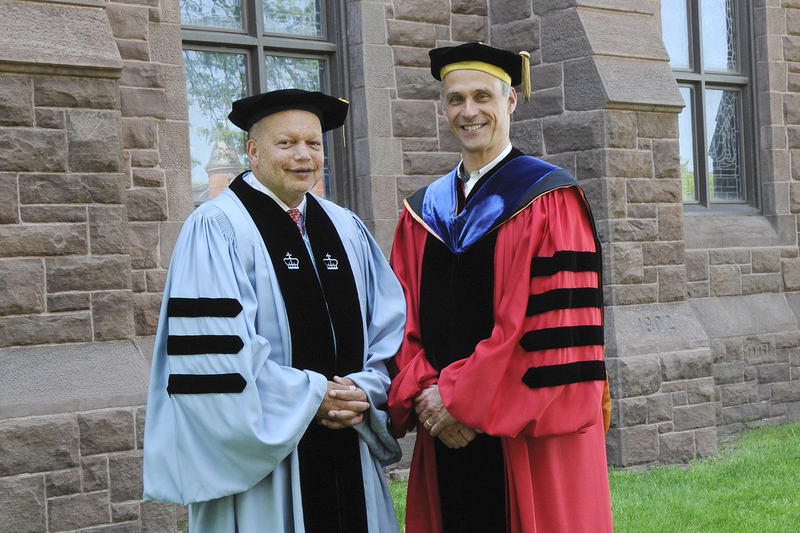 He has returned often to campus; last May, for instance, when he met with a group of scholars from China and the United States to discuss comparative approaches to the Enlightenment. He is university professor and professor of history of consciousness, emeritus, at the University of California, Santa Cruz, and formerly was professor of comparative literature at Stanford University. 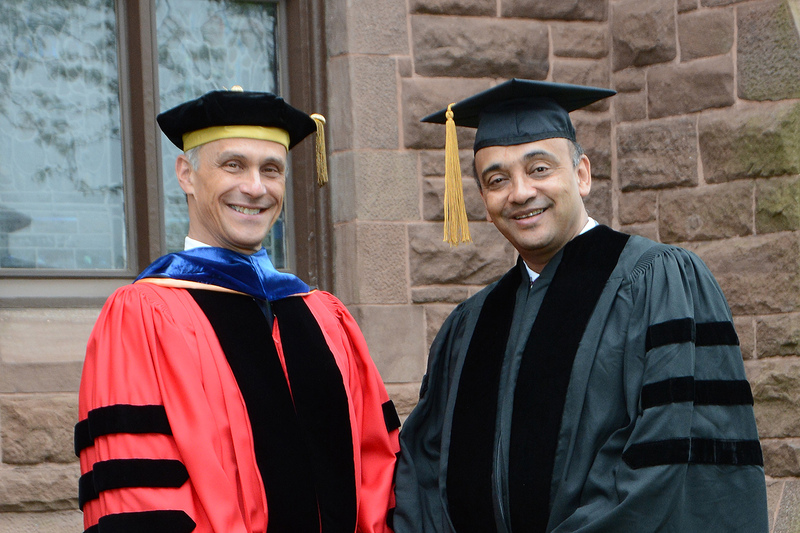 He received his BA degree from Wayne State University and his MA and PhD from the University of Michigan. Among his many honors, he is fellow, American Philosophical Society; fellow, American Academy of Arts and Sciences; and a recipient of an honorary doctor of humane letters degree from the University of Michigan. 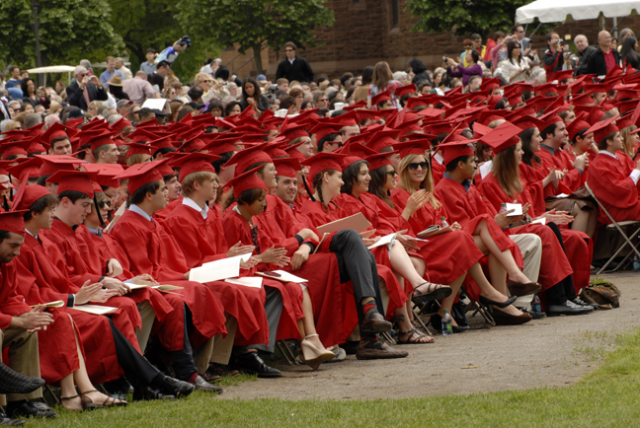 Wesleyan’s 179th annual Commencement ceremonies were held on Andrus Field on May 22. 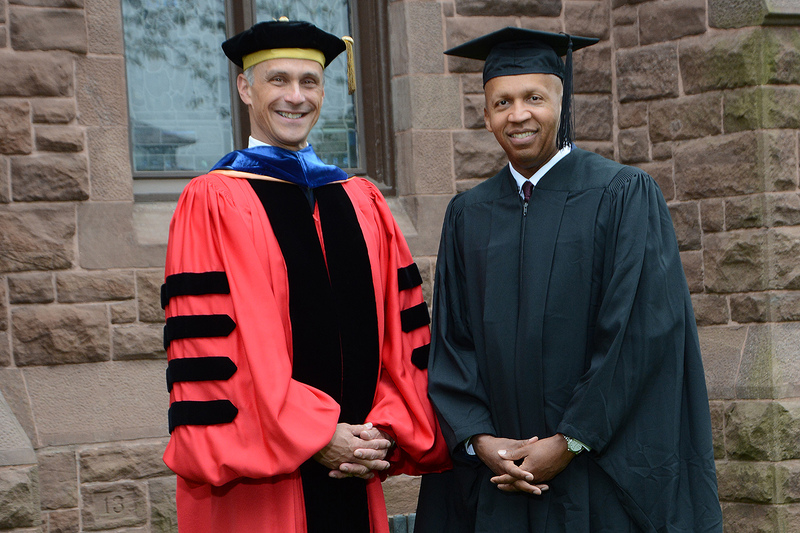 This observation was the cornerstone of the address delivered by Dr. Farmer at the 179th Commencement Ceremonies at Wesleyan University, on Sunday, May 22. Farmer, a physician-anthropologist and author, founded Partners in Health, an international nonprofit organization that provides direct health care services to the sick living in poverty. Partners in Health also undertakes research and advocacy on behalf of under-served, impoverished populations. Farmer is also the Kolokotrones University Professor and Chair of the Department of Global Health and Social Medicine at Harvard Medical School; Chief of the Division of Global Health Equity at Brigham and Woman’s Hospital; and the United Nations Deputy Special Envoy for Haiti under former U.S. President Bill Clinton.